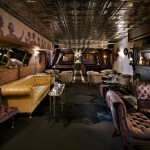 Speakeasies and retro bars have been the new trend in New York for so long that this style may not be a trend at all. 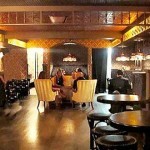 These “speakeasy bars” hearken back to a time somewhere between the Gilded Age and Prohibition, giving their interior designers a chance to play around with this fantastic historical style. 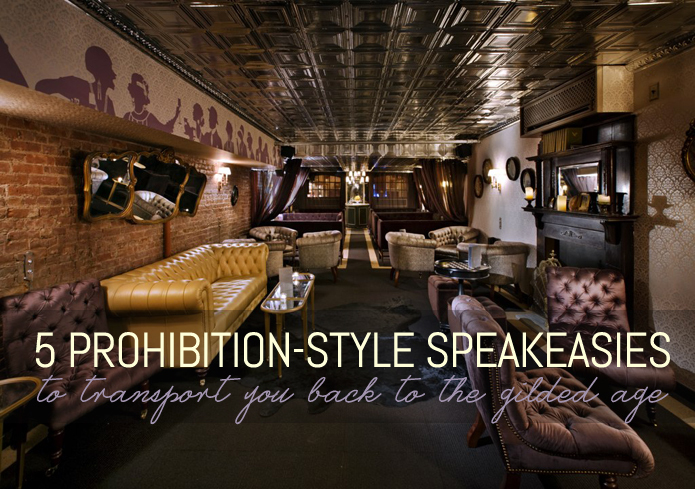 The five speakeasies and retro bars below show a true design sense that transports us to the time of outlawed alcohol and tiny flapper dresses. 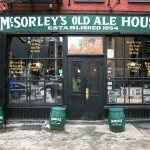 Not many of the New York retro bars can claim the true authenticity of McSorley’s, a bar which has opened in 1854. 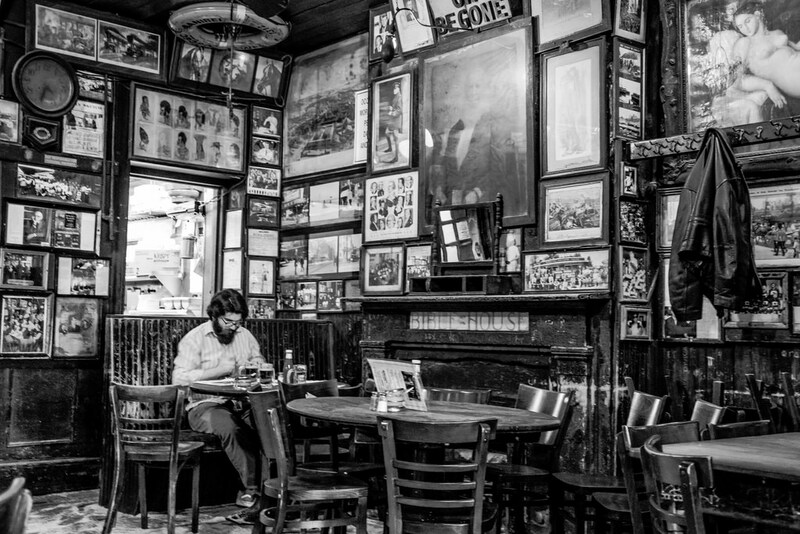 McSorley’s Old Ale House boasts that it has served everyone from Abe Lincoln to John Lennon, although “everyone” didn’t include any women until the bar was legally forced to serve females in 1970. 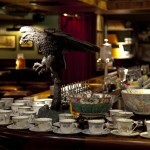 Reportedly no piece of artwork or memorabilia on the walls has been removed since 1910, and a few precious items were even untouched until the New York City health department grew concerned about dust buildup. 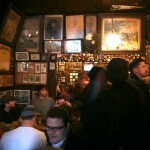 McSorley’s makes its living on this sort of completely authentic design, and the results are stunning. 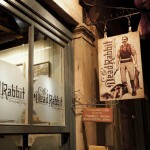 The Dead Rabbit Grocery and Grog tries to recapture the turn-of-the-century Irish-American lifestyle with a taproom for beer and whiskeys, a parlor for historically-accurate cocktails, and a “spirit grocery” which sells dry goods, tinned seafood, and Irish and British imports. 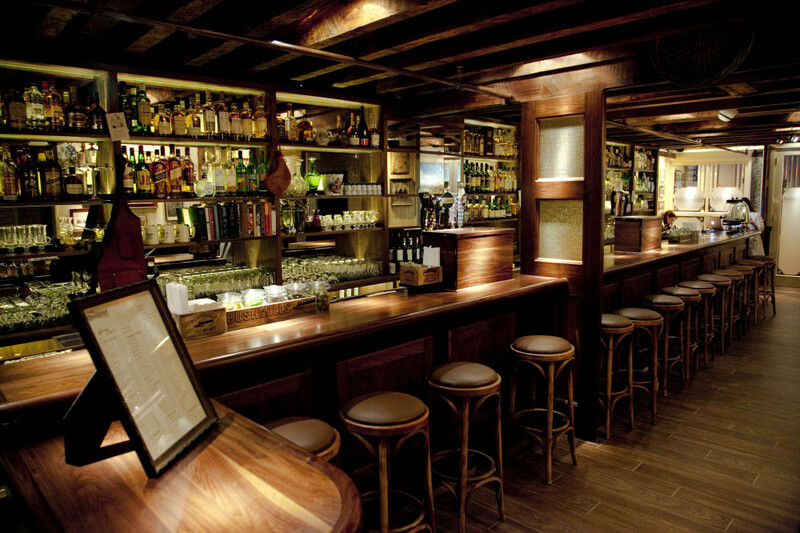 The Dead Rabbit’s style is much homier and more down-to-earth than the Gatsby-style extravagance of many other retro bars, and the food and drink is good too. 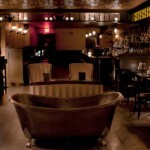 Speaking of Gatsby-style extravagance, Bathtub Gin aims directly for the fun and decadence of the prohibition era, with themed drinks and weekly burlesque shows adding to the atmosphere created by the interior design. 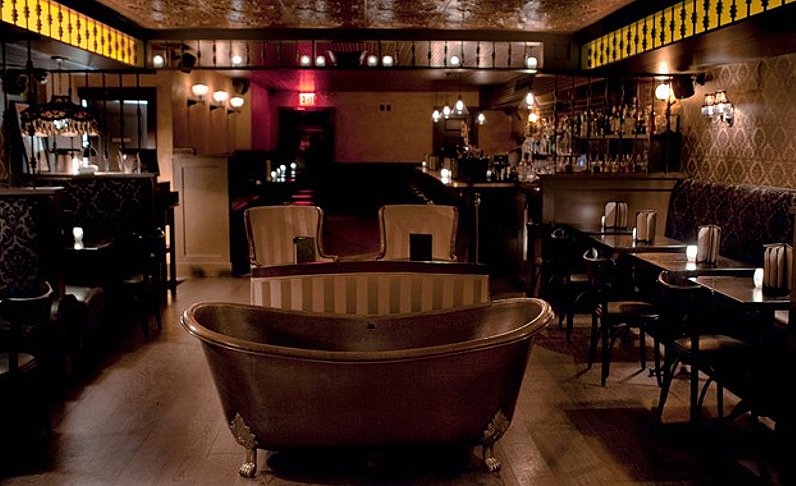 The centerpiece of the room: The bar’s trademark copper bathtub, which the bar owners say is a popular spot for group photos night after night. 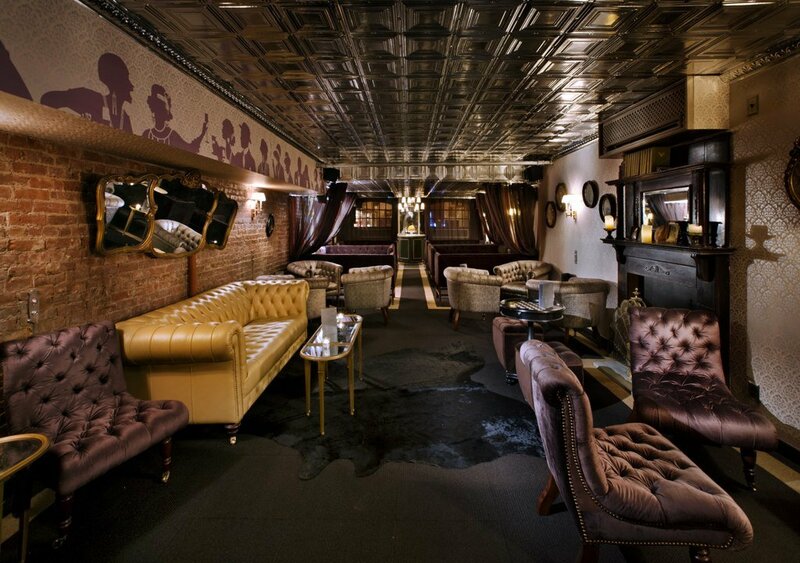 Named after the pre-prohibition liquor tax law, The Raines Law Room‘s design is 1920s-inspired and luxurious, with a lavender velvet color running through the room. 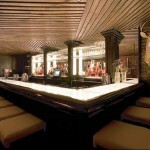 Like a true secret speakeasy bar, it lies behind a doorbell in an unmarked building in the Flatiron District. 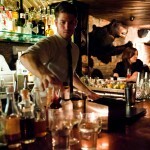 PDT (Please Don’t Tell) is another secret bar that must be entered in a special way. 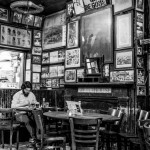 A phone booth inside Crif Dogs hides a secret entrance which can only be opened with a single press on the phone’s buzzer. 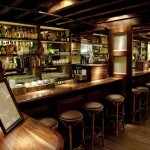 Of course, don’t let the secret entrance fool you into thinking you won’t need a reservation. 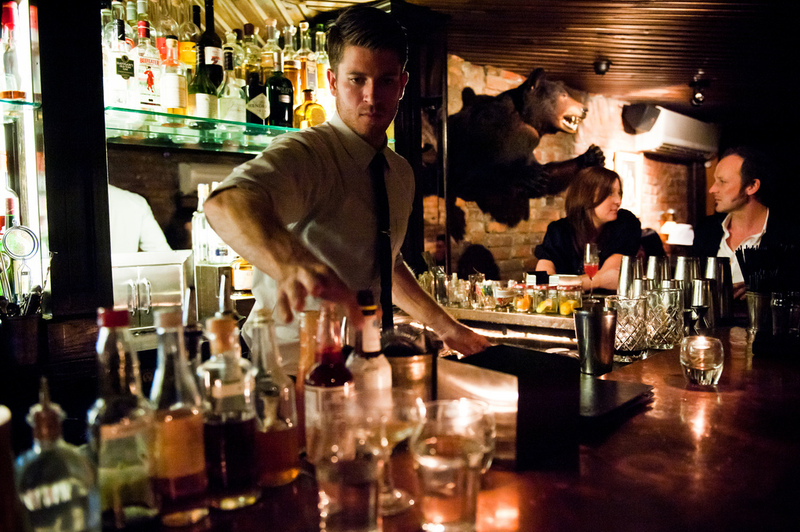 PDT aims for the high-class retro aesthetic, and it succeeds with flair.